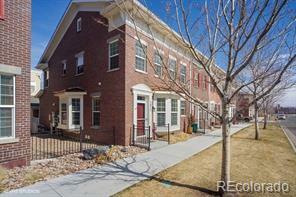 Immaculate row home in Bradburn, the premier live/work/play neighborhood in North Metro Denver! Shopping and dining are steps away, as are parks and open space. The kitchen features a gas stove, infinite edge quartz countertops, SS appliances, Lazy Susans in all corners for max storage, and access to the comfortable outdoor living space. 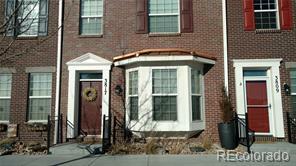 Dual full bath masters upstairs plus a finished basement perfect for a reclusive family member. The pool, tennis courts, and clubhouse are right across the street.